Would you like to keep your email content in step with your web content? Maybe you would like to create engaging email content but you have limited time. 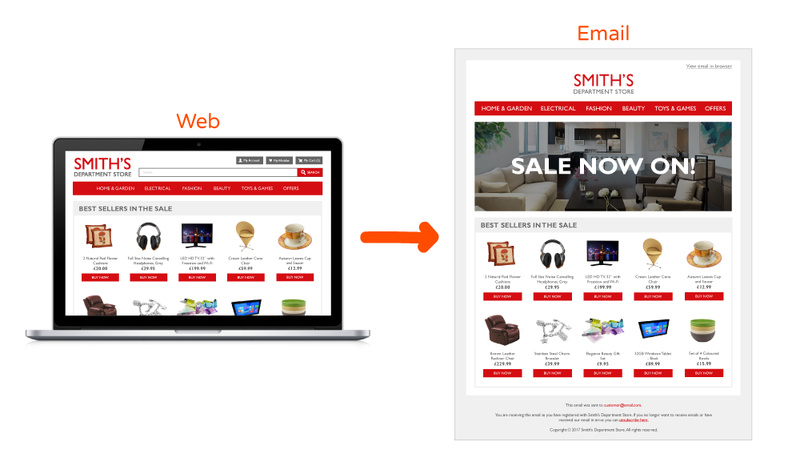 Web Crop keeps email content in sync with web content. It captures Web Content for use in emails in real-time at the point of open. Latest offers or blog posts seamlessly integrate into any email. Instantly and easily place your heavily curated and managed website content into your email campaigns. Website Banners - Banners are especially effective with serving Coupons on your website and in your emails. Manage promotional messaging like daily or hourly deals easily and efficiently. Latest blog posts - Add your latest blog posts to your emails and web pages with ease. Live Pricing - Personalize your website and emails with showing live prices. Each time your reader opens their email they are presented with the most up-to-date pricing from your website. Facebook - Grab and show your Facebook posts in your emails. Email signature - Add content from your website into your email signatures. Great for customer service and support emails. Social Media Curation - Integrate heavily curated social content from your website into emails with the help of Web Crop. 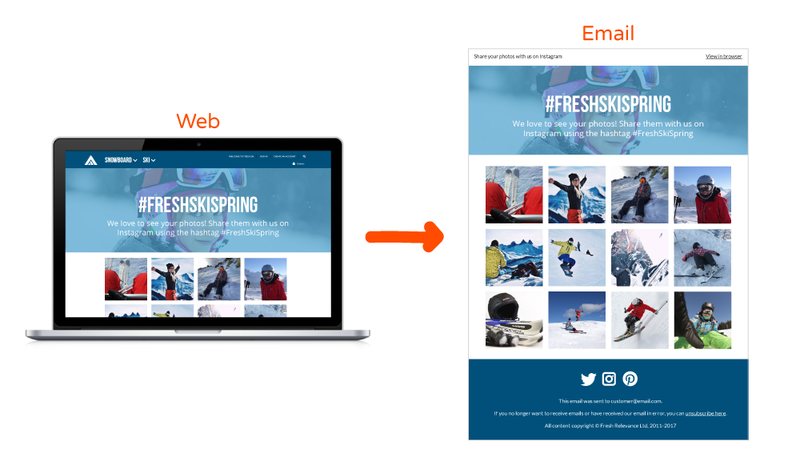 Want to learn more about the Fresh Relevance Web Crop feature?